The vision of NMIMS University is to define the 21st century technological and management research. Hence the goal for NMIMS University is to encourage excellence in research and publication activities. Research is a precursor to discovery and innovation. The University systems survive on the strength of research i.e. knowledge creation and dissemination system. Realities of the modern world demand interdisciplinary research or research that cuts across the traditional boundaries of discipline. R. C. Patel Institute of Pharmaceutical Education & Research, Formerly known as R.C. Patel College of Pharmacy established in June 1992 with the aim to enhance the quality education in the field of Pharmacy and empower the quality pharmacist so that they serve the society to develop lifesaving drugs. Right from its establishment the institute has maintained the quality with assurance in terms of Accreditation from National Board of Accreditation, New Delhi (NBA) twice on 2005 and 2009 for the B. Pharm course. Institute also accredited by NAAC, Bangalore for the period of 5 years. Applications are invited for the vacant posts in Shirpur Education Society’s No Grant basis Pharmacy College. H. R. Patel Institute of Pharmaceutical Education and Research (formerly known as H. R. Patel Womens' College of Pharmacy) a constitute unit of the shirpur education society, shirpur marks the beginning of a new era- technical Education for women so to speak in the education spectrum of shirpur. It was established by renowned personality with an unparalleled vision and acute foresight, Hon. Amrishbhai R. Patel. The institute started functioning in year in 2004 with a wide mission to impart high quality Pharmaceutical Education to Women through innovative and interactive learning process for enlistment of their social image as well as help them to withstand in global competitive environment. The Institute with modern Infrastructure comprises of several class rooms, tutorial rooms, conference hall, administration office, medicinal Garden, well equipped laboratories, all of which are built in accordance to the norms of AICTE & PCI New Delhi. Shirpur Education Society (SES), Shirpur under the dynamic leadership of Hon. Shri Amrishbhai R. Patel has knitted together a large network of educational institutes in Northern Maharashtra. SES offers technical education through well equipped institutes like R. C. Patel Institute of Pharmaceutical Education and Research (RCPIPER), H. R. Patel Institute of Pharmaceutical Education and Research, R. C. Patel Institute of Technology, IMRD MCA and MCM and R. C. Patel Science College. RCPIPER had been a dream of a renowned personality with an unparalleled vision- Late Shri. Rasiklalji C. Patel. School of Pharmacy & Technology Management, with excellent lab facilities, good teaching and learning practices based majorly on student feedback systems, is a model pharmacy school conducting various graduate, postgraduate and research programs in pharmaceutical sciences. Our highly experienced faculty encourages students to carry out research in the fields of their interest. 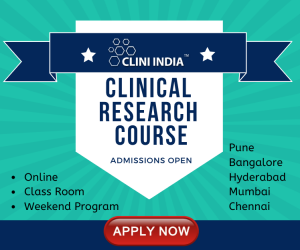 The courses and their practice are focused on the needs of Pharma industry and hospitals. R. C. Patel Institute of Pharmaceutical Education & Research, Formerly known as R.C. Patel College of Pharmacy established in June 1992 with the aim to enhance the quality education in the field of Pharmacy and empower the quality pharmacist so that they serve the society to develop lifesaving drugs. 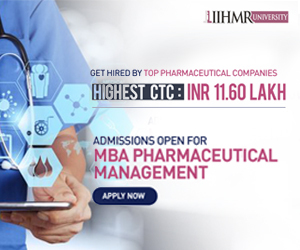 Right from its establishment the institute has maintained the quality with assurance in terms of Accreditation from National Board of Accreditation, New Delhi (NBA) twice on 2005 and 2009 for the B. Pharm course. Institute also accredited by NAAC, Bangalore for the period of 5 years. In addition to this institute has approved by, All India Council for Technical Education, New Delhi. Applications are invited for the Post of Principal for eligible candidate along with Bio-data for our Non- Grant Pharmacy Institute so as to reach within 15 days from the date of publication of this advertisement. In order to meet the growing demand for management education, the Shri Vile Parle Kelavani Mandal, with the help of a donation from Narsee Monjee Educational Trust, established a recognized Management institute of the Mumbai University in 1981 Since then NMIMS has grown into a flourishing University, offering courses / programs across various disciplines, such as Management, Technology, Science, Pharmacy, Architecture, Commerce and Economics. Today, the University has over 5000 students and more than 430 faculty members. The faculty at the University represent an eclectic mix of Industry and Academic experience; national and international experiences.